Queer Eye Antoni: Does Antoni Even Know How To Cook? 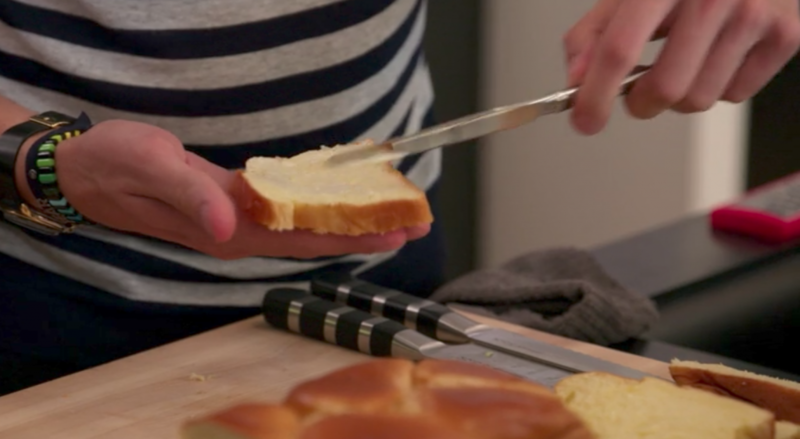 Investigation: Does The Incredibly Hot Food Guy From ‘Queer Eye’ Even Know How To Cook? 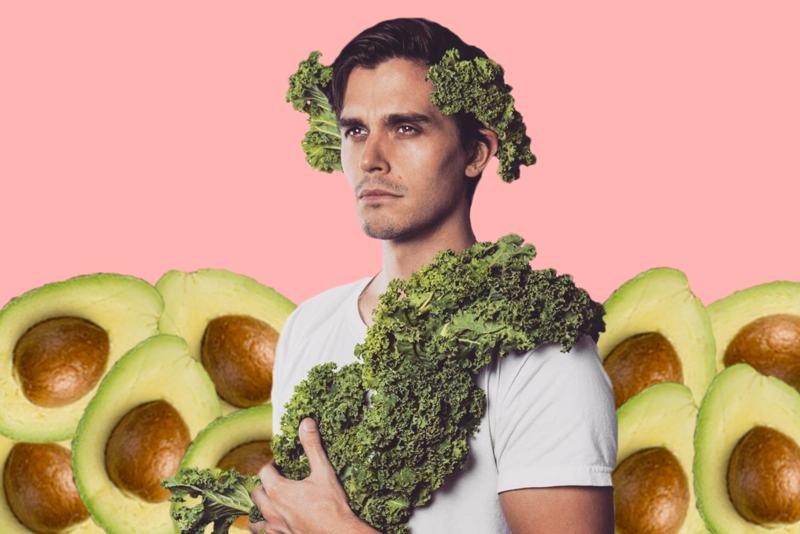 It kinda seems like Antoni only knows how to eat avocados. If you’ve watched Netflix’s wonderful reboot of Queer Eye, then you’re already in love with the beautiful Food & Wine guy, Antoni Porowski. It’s just a fact. He’s got a lot of wonderful traits, such as a smile that lights up both the room and your loins, a face like a work of classical art, tousled hair, eyes, a nice arm — the list just keeps going — and folks, we didn’t even talk about the food. And that’s because actually the food is weirdly ordinary. Now, we completely understand that Antoni has been given the brief of teaching some of the most seemingly hopeless men in America how to cook a basic meal without cutting their unfashionable fingers off or scalding their heterosexual faces, which I guess doesn’t exactly inspire gourmet dining. Most of these men can barely even stagger out into the world without looking like a pile of board-shorts from the nineties on a billy-cart. So yeah, he’s got a hand tied behind his back. But even acknowledging this, it kinda seems like Antoni only knows how to eat avocados. Let’s investigate. In the first episode of Queer Eye, our Fab Five discover a lovely and lonely old soul named Tom who really enjoys Tex-Mex cuisine (or, more specifically, the same ‘Beef Supreme’ burrito every night). Antoni decides to teach Tom how to make a simple guacamole, that literally involves smashing an avocado with salt and lemon. ‘Oh, what a charming and handsome idea, Antoni’, everyone thought while spontaneously getting pregnant from his leather jacket/white t-shirt combo. But then, in our next episode, Antoni teaches a hirsute gentleman how to make toasted cheese sandwiches. Admittedly, they are fancy toasted cheese sandwiches — expensive cheese, cured hams, mayonnaise — but it’s still not exactly cooking, you know? It’s just a sandwich. From here on, you can’t help but notice a pattern. For a bunch of firefighters, he makes hot dogs. For a Trump-voting cop, he literally places cut avocado next to slices of cut grapefruit and pretends it’s a salad. Before joining Queer Eye, Antoni said in an interview with Eater that he worked as a “waiter, sommelier, general manager, and even a food consultant in New York City”. All of those are definitely involved with food in some way — I could believe that he definitely SAW and EXPERIENCED food in his day-to-day life, but none of those jobs actually involve cooking. He is also very open about his friendship with the food guy from the original Queer Eye For The Straight Guy, Ted Allen — a friendship which he says came from the fact that they lived across the street from each other. Apparently, he even spent some time as Ted Allen’s personal chef. But isn’t that suspicious in itself? Why would the original FOOD GUY need a chef? He already knows how to make food really well. In an interview with Grub Street, Antoni does talk about actually cooking — but he admits that he mostly enjoys cooking at home (where there are no witnesses?) and also that he is mostly untrained. “I basically taught myself. A lot of Julia Child, a lot of PBS.” Hmm. Once again, none of this is damning in itself, but put together these facts form a pattern. Interestingly, Porowski has acted in TVs and movies before, with his credits including The Pretenders, Love Elliott,and an episode of The Blacklist. We’re certainly not saying saying this is likely, but what if Porowski was actually an incredibly handsome person who has been hired to act like a food expert? Isn’t that literally the plot of The Pretender? Antoni’s greatest gift to the world is his beautiful Instagram page, which heavily features his gorgeous features, all in the comfort of our own homes. But the thing isn’t just that he’s got a beautiful face, he’s also got a great body, you know? Hnnng. But also, can’t help but notice chocolate isn’t something you cook. In fact, once you push through the incredible thirst trap photos (and it’s worth doing this) you’ll notice a startling thing. This handsome boy is never papped cooking! If you go and look at other celebrity chefs, their entire accounts are them looking smug next to ovens. Antoni, probably because of the high proportion of shirtless shots, never seems to go near open flames. Furthermore, he continues his trend of posting things that DON’T REQUIRE COOKING. ANTONI, YOU’RE A CHEF, YOU SHOULD BE BOTHERED TO COOK. THIS IS JUST CHEESE. SOME MEN WANT A COOKED MEAL, ANTONI.